It is hard to imagine the fear associated with a massive fire. When you add a crowded setting in to the smoke and flames, it becomes a moment of true panic. We’ve been thinking about those moments as we follow the unfolding story of the recent nightclub fire in Brazil. The team at our Oakland fire injury law firm has also been asking a question we imagine is on many of our readers’ minds – could a similar fire tragedy happen here? As part of their coverage of the fire that claimed more than 230 lives in Santa Maria, Brazil, The Oakland Tribune spoke to local fire officials about efforts to prevent similar tragedies in the Bay Area. Mindy Talmadge, a San Francisco Fire Department spokesperson, emphasized that fire tragedies are preventable. Along with officials from other local communities, she cited stricter laws and more stringent enforcement efforts aimed at preventing such an incident in our region. California requires that new commercial buildings contain alarms, sprinkler systems, and working fire extinguishers, none of which were present in the Brazilian club. Fire officials monitor occupancy limits and make sure facilities have multiple unlocked exits, with the city of San Jose requiring one exit for every fifty people in a nightclub. Additionally, pyrotechnic shows such as those that sparked the recent blaze and the 2003 Rhode Island nightclub fire that caused 100 deaths, are rare in Bay County, usually only permitted in large venues, and closely monitored by firefighters before, during, and after the show. Budget constraints have forced some cutbacks. Although officials still make both announced code checks and unannounced spot checks, fire departments are relying more on club owners to comply with fire codes and other safety rules. Fire authorities do ask that club-goers help by reporting anything suspicious, including locked exits. Guests should also note exits to avoid a panic-induced rush to the main entrance. Officials say they do not believe a disaster like that in Santa Maria would occur in the Bay Area, but they still urge that people look out for their own safety. Fires can lead to a myriad of different injuries. Burns can range from superficial to life-threatening, requiring extensive medical treatment and physical rehabilitation. Severe burns can cause kidney failure. Burns can also lead to lifelong scarring and disfigurement, adding emotional pain on top of physical suffering. Fire injuries can leave a victim vulnerable to infection. Smoke inhalation is also a very serious danger and is more likely to lead to death than the flames themselves. Fire injuries and deaths are often preventable. Property owners and operators owe a duty to maintain a reasonably safe environment, including taking reasonable efforts to prevent fires. Victims who are injured in a fire caused or exacerbated by the failure to meet this duty may have a legal claim via a premises liability theory. In these cases, the plaintiff must show the defendant had control of the property/condition, breached a duty of care to the victim, and that the breach directly led to the plaintiff’s injury. Premises liability theories can be brought to bear in both injury and wrongful death suits. Other legal concepts may also be relevant in fire-related civil suits, including product liability and landlord/tenant principles. The nightclub fire in Brazil was a tragedy, especially because news reports suggest that it could have been prevented. We believe that businesses should be held accountable for their failure to invest in safety, decisions that put the bottom-line above human life. If you have suffered injury or lost a loved one in a fire and suspect the property owner or operator had a role in the tragedy, please call. 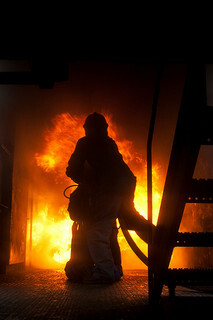 Our Oakland/San Francisco fire injury law firm can help you get compensation and justice.